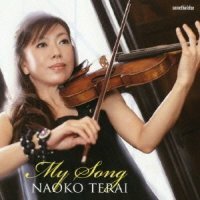 A prominent jazz violinist with classically trained technique, rich and dark tone and strong bebop influence, Naoko Terai began her formal training when she was four years old. A rebelious student, she wanted to express her feelings through her violin, which was frowned upon in the world of classical music. She "discovered" jazz at 16 when she heard "Waltz for Debby" by Bill Evans, and her free spirit pushed her in this direction. Soon she began playing professionally at hotel lounges and jamming with jazz musicians in the city of Nagoya. In 1993, she had an opportunity to play with pianist Kenny Barron, who two years later invited her for a recording project in New York. After recording her debut album Thinking of You in 1998, Terai has constantly released strong albums throughout the years.